Our host (Michael) was excellent, & very helpful. The unit was spacious, clean, and comfy. Located just outside the city, steps away from the shore, sheep & chickens across the street. The host was very friendly and the check in procedure was very simple. The sound of the sea at night is lovely and the bed sheets smell so well. Full relax. The way the apartment was furnished. Classical like in the 80's and the way it was preserved. Felt very much like home. Everything was perfect! Very clean, great view, ideal for families, and for long stays. 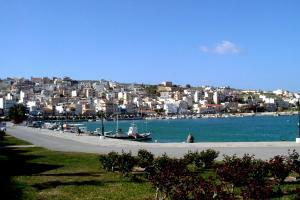 Very close to the beach and the city of Sitia. Staff very friendly! Just excellent! Great appointment with lovely views. Older style property, sample Greek. Vary comfortable, great size. Very friendly and helpful host. 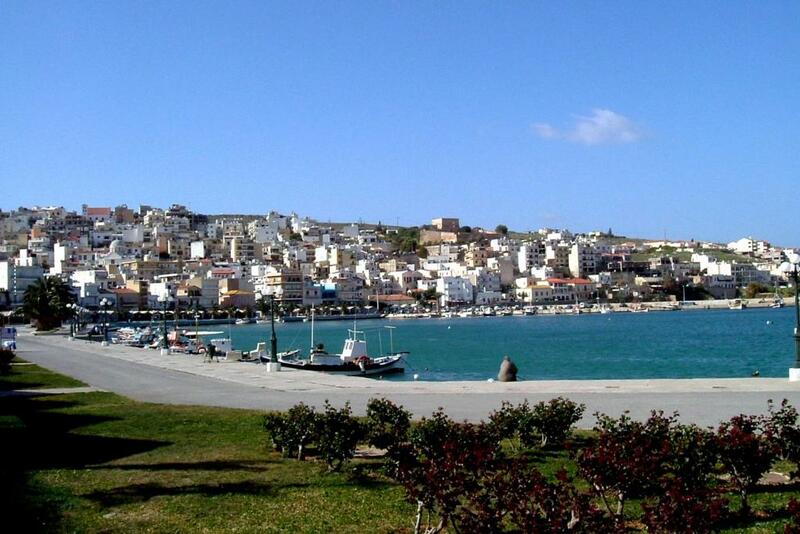 A nice walk distance from all the taverns and restaurants. Very comfortable. The amazing view, the space, the price, the amenities. Good for a family stay. Raki offered. Warm and friendly atmosphere, the owner treated us like family. 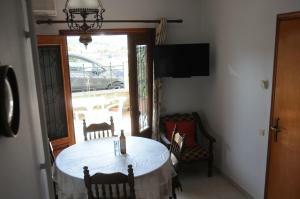 Room very clean, fully equipped kitchen, great view on Sitia. Close to the center, about a 15-minute walk. Quiet surroundings. Homemade cakes and a small bottle of tsikoudia as a welcome gift. Ευχαριστούμε πολύ για όλα! Very helpful owner, nice balcony and garden, spacious rooms! Gezellige kamer, prima host, dicht bij Sitia, mooi uitzicht. Lock in a great price for Ekavi Apartments – rated 8.5 by recent guests! Villa Ekavi is located in Siteía. The property is 350 feet from Petras Beach and offers self-catering accommodations with free Wi-Fi. Siteia Airport is 1.6 mi away. 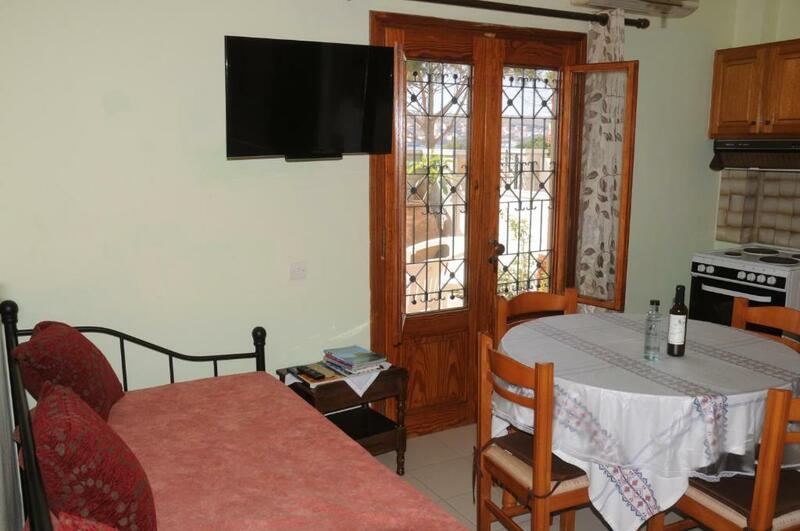 All rooms have a balcony with views and air conditioning in their living rooms. A TV is also provided. A fully equipped kitchen with a fridge and electric kettle is included. The bathroom features a bathtub. Guests can enjoy sea or garden view. At Villa Ekavi you will find car rental service. 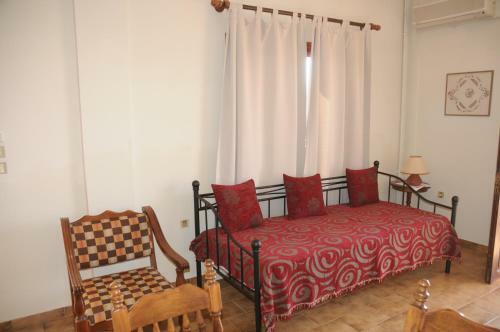 Villa Ekavi is a 10-minute walk from a mini market, restaurants and cafes. Siteia town, known for its vivid nightlife and various traditional eateries is 0.6 mi away from the property. Heraklion International Airport is located 84 mi away. When would you like to stay at Ekavi Apartments? This apartment has a balcony and air conditioning in the living room. A TV is also provided. 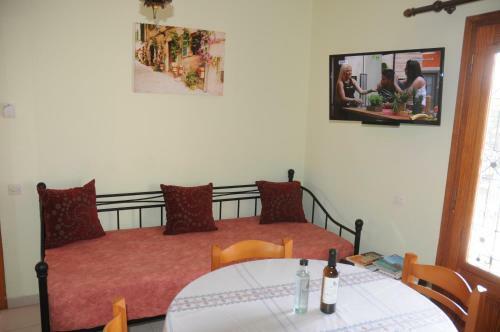 A fully equipped kitchen with a fridge and electric kettle is included. The bathroom features a bathtub. 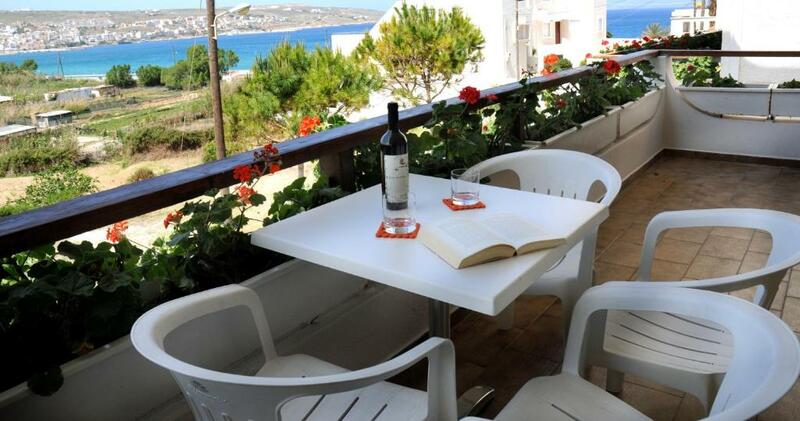 Guests can enjoy sea and town views. This apartment features a balcony and air conditioning on the living room. A TV and a washing machine are also provided. A fully equipped kitchen with a fridge and electric kettle is included. The bathroom features a bathtub. Guests can enjoy sea and garden views. This apartment features a balcony and air conditioning on the living room. A TV and a washing machine are provided. A fully equipped kitchen with a fridge and electric kettle is included. The bathroom features a bathtub. Guests can enjoy sea view. This apartment features a kitchenware, toaster and air conditioning. House Rules Ekavi Apartments takes special requests – add in the next step! Ekavi Apartments accepts these cards and reserves the right to temporarily hold an amount prior to arrival. Please inform the property about your exact arrival time. Kindly note that guests can check out at 14:30 with no additional charge. Please note that heating radiators are provided upon charge. A bit challenging to find, as many locations in Greece, but not impossible. There were killed mosquitoes on the walls and even in the fridge! The hair dryer was broken. There was no soap to do the dishes. There were 2 toilet papers for 4 days stay for a whole family (2 adults & 2 kids), no proper paper for the kitchen. There was no coffee, no sugar. The window located in the bedroom had no window screen to keep insects out. The owner watered the plants just above our little yard without paying attention to us who were sitting in the yard and made us wet, no apology given! Too many mosquitos! The host had done nothing to get rid of them & we spent the night killing the dozens of mosquitos in our room instead of sleeping. Hard to find the key when we arrived, the host wasnt speaking so good english but nice guy. Not normal to pay extra for heating ... was very cold.